The granite memorial to E.E. Smith is 7-feet tall at its highest point and 10-feet wide. It consists of a central plinth with a low pyramid shaped cap. Connected to either side of the plinth at the half-way point is an abacus supported by a square block at the end with two short Roman Tuscan style columns in between. The entire structure rests on a double base. Inscriptions are engraved on both sides of the plinth. A circular one foot tall wrought iron fence surrounds the memorial. 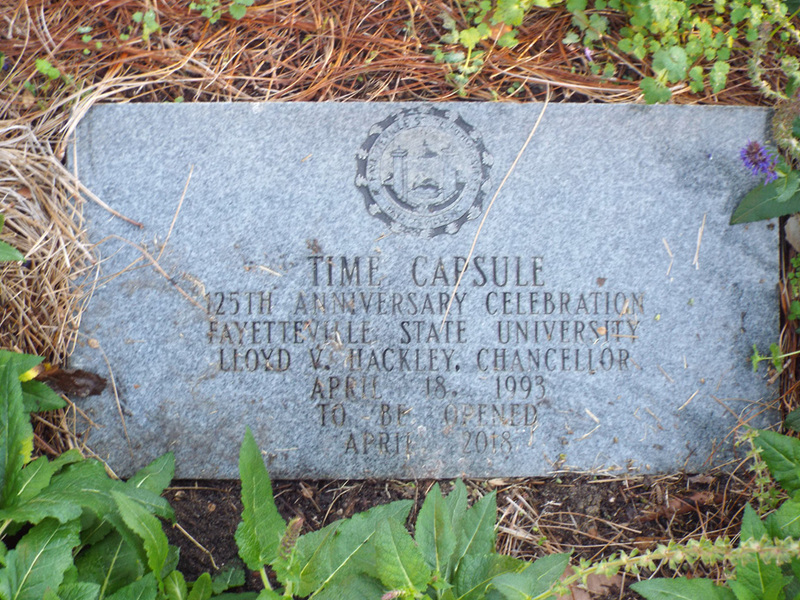 In 1993 a time capsule to be opened in 2018 was placed at the base of the memorial. Dr. E.E. 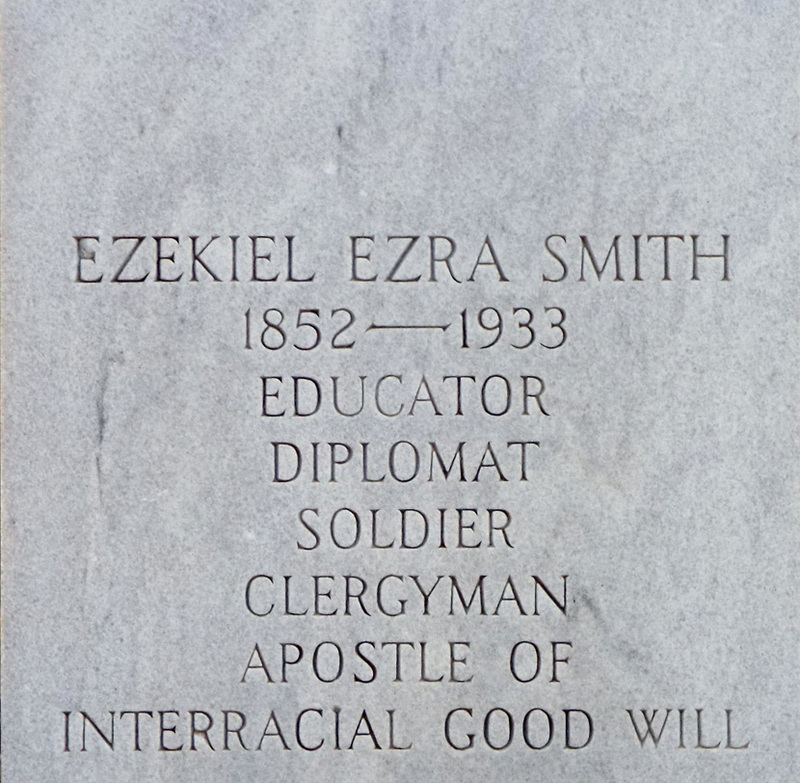 (Ezekiel Ezra) Smith was a respected African American educator who headed Fayetteville State University for 50 years. 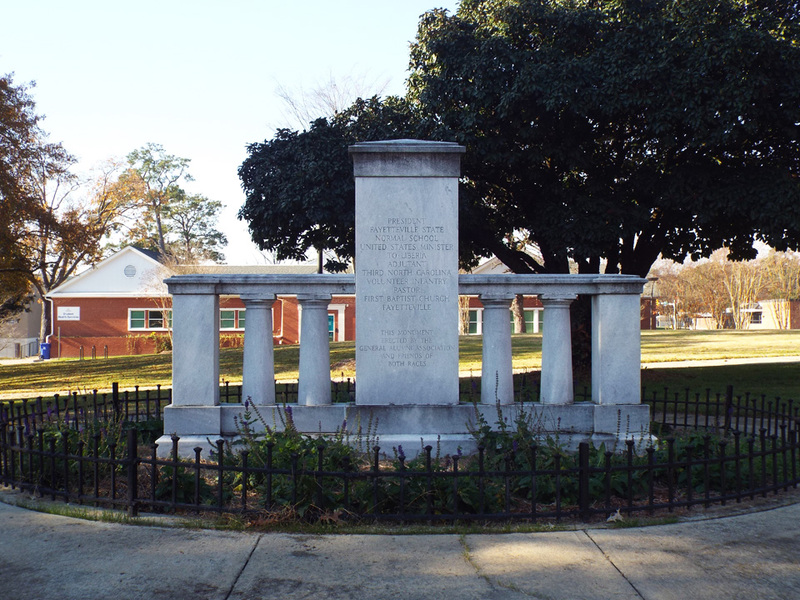 He was born to free black parents in Duplin County and commenced his formal education after the Civil War at a Freedmen’s Bureau School in Wilmington. 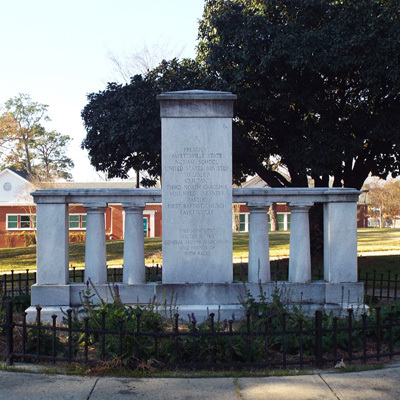 He graduated from Shaw University in Raleigh in 1878 and then took charge of a school in Goldsboro as principal. In 1883 E. E. Smith succeeded the writer Charles W. Chesnutt as the head of the State Colored Normal School in Fayetteville. 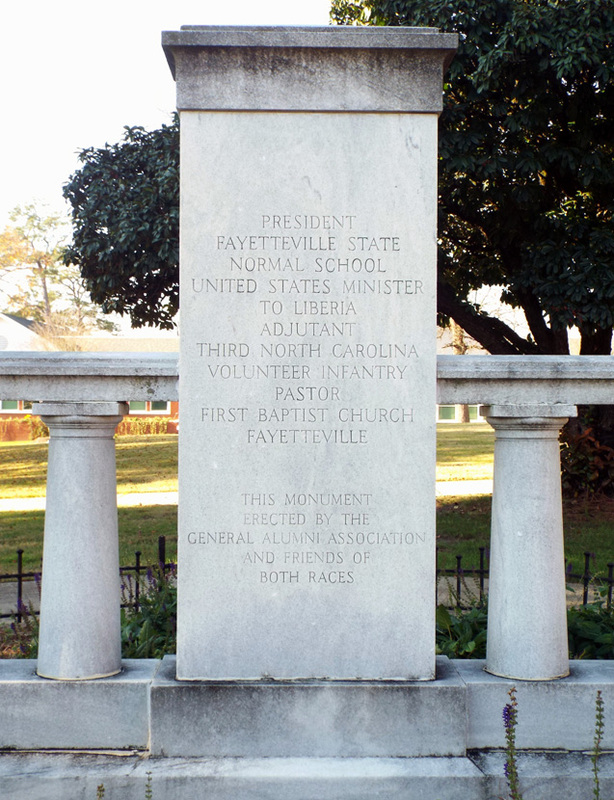 The school changed names to Fayetteville State Teachers College in 1939 and Fayetteville State University in 1969. He also served as an ambassador to Liberia, as the adjutant of the 3rd NC Regiment during the Spanish-American War and founded North Carolina's first black newspaper. 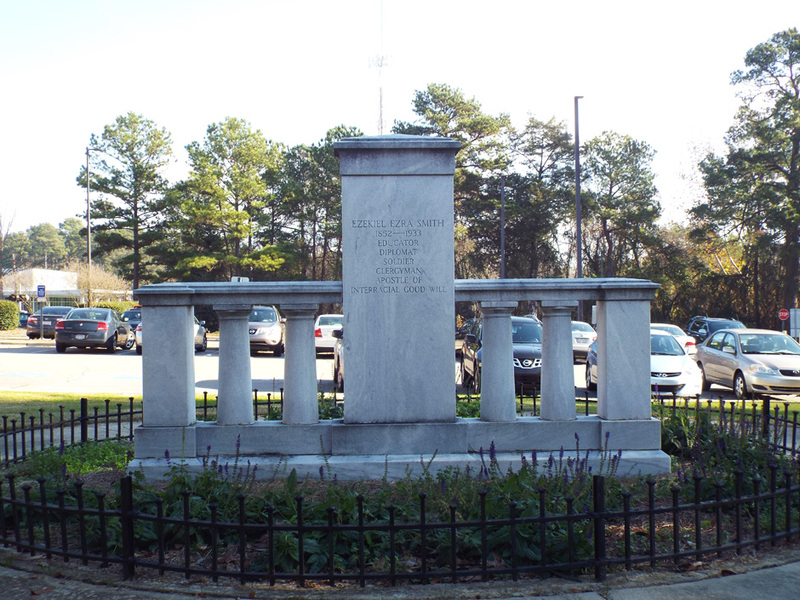 The memorial is at the edge of a parking lot that can be accessed from Martin Luther King, Jr. Drive near an intersection with W.T. 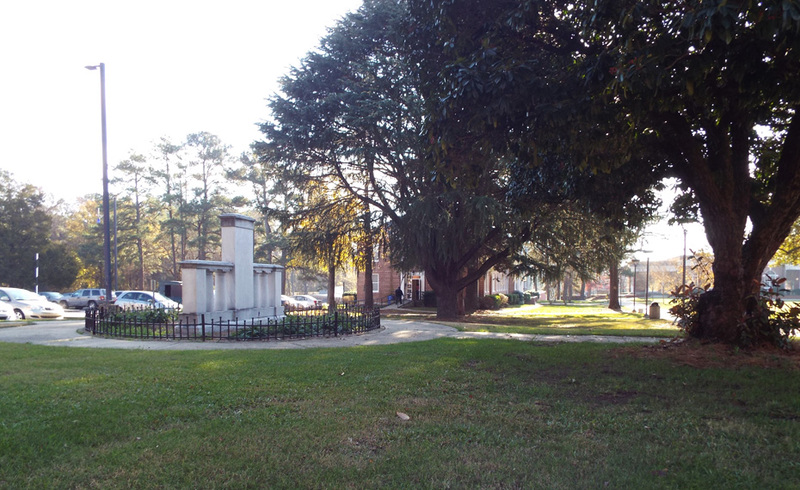 Brown Drive on the campus of Fayetteville State University, Fayetteville, NC. The memorial is surrounded by flowers and seasonal greenery, planted behind a low iron fence.